The 2015 edition of IRONMAN Wales (www.ironmanwales.com) is just under two weeks away, the fifth edition of the race taking place on Sunday 13th September. In order to help you arrive at the event ready to race, we've enlisted the help of Professional Ironman athlete Harry Wiltshire to help guide you through the details of the course. Harry finished in the top thirty at the Ironman World Championships in 2014 and finished fifth overall at Ironman Wales two years ago. One of the most experienced athletes around (check out our recent interview with him HERE), Harry will be back in Tenby once again this year as he seeks to start his campaign to qualify for Kona in 2016. This is the fifth and final part of our Guide to IRONMAN Wales, and Harry talks through some general advice and tips on the last few days before your race. Check out the links to all five parts of this series below... and, good luck! 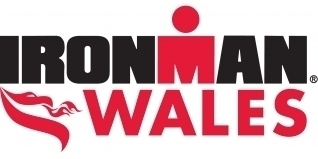 IRONMAN Wales - General Tips and Good Luck! General tips... and good luck! Harry is an ambassador for Triathlonguard (www.triathloninsurance.co.uk) the Official Triathlon Insurance Partner of Ironman Wales and in this short video, explains how Triathlonguard cover has provided him with vital support and piece of mind.